For twenty years, Columbia University professor Manning Marable worked on the book that, as a New York Times story by Larry Rohter notes, â€œhe considered his lifeâ€™s work: redefining the legacy of Malcolm X.â€Â The book, Malcolm X: A life of Reinvention, â€œdescribed by the few scholars who have seen it as full of new and startling information and insights,â€ is due out today. Marable died Friday. 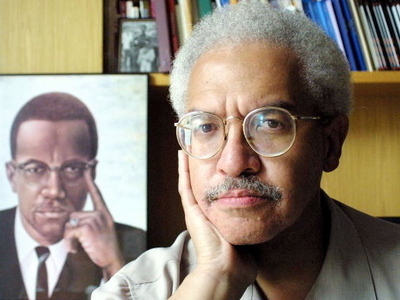 MOBYLIVES Â» Hail & Farewell: Manning Marable, Malcolm X biographer, on eve of publication.